On December 30, 1833, the North Carolina General Assembly approved the charter for the Wilmington and Raleigh Railroad Company. The company originally sought to link the state’s largest port in Wilmington with the capital in Raleigh, but the company changed its plans and began planning a line between Wilmington and Weldon, a small town in Halifax County. The change allowed the company to benefit from the business that would be brought in from the then-booming industry and agriculture in the Roanoke River valley, and made Weldon a vital transportation hub for the state and region. The line moved goods and supplies from the single open Confederate port of Wilmington to Robert E. Lee’s Army in Virginia. The fall of Wilmington and subsequent closing of the port to the railroad was a major factor leading up to Lee’s surrender at Appomattox. 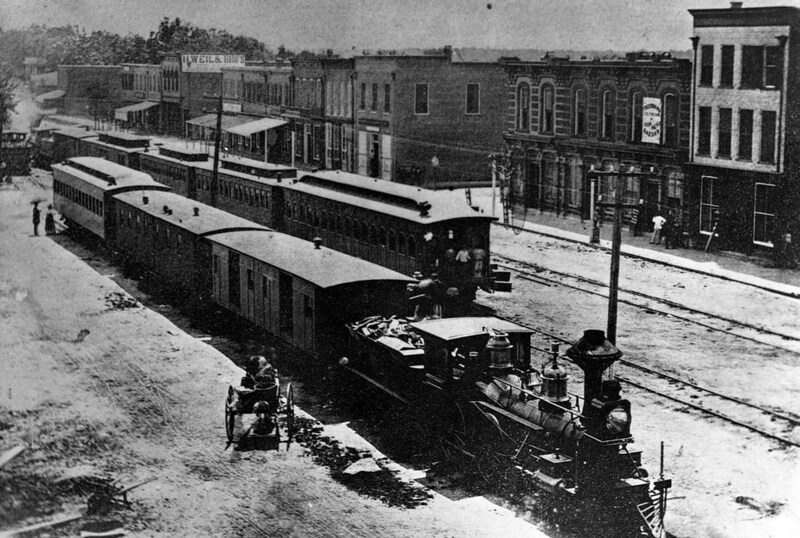 By the late 19th century the railroad had been sold to the Atlantic Coast Line Railroad, which became part of the Seaboard Coast Line in the 1960s and CSX in the 1980s. Visit: Check out the N.C. Transportation Museum in Spencer for more awesome pieces of history from our transportation past.